These Standard Terms and Conditions of “Drawlab creative design and prototyping services” Inc. constitute the Agreement governing your use of Drawlab services provided through the website located at entertainment.live.drawlab.com or otherwise. These terms and conditions coupled with any quote that you accept form a legally binding contract between you and “Drawlab creative design and prototyping services” Inc. (the “Agreement”) governing your use of the Drawlab service. If you choose to use our website, the terms described below are effective upon your access of Drawlab service website located at entertainment.live.drawlab.com (the “Website”). If you choose to manually request a quote or place an order via electronic mail, phone or otherwise, the terms described below are effective upon your submission of a quote request. You are deemed to have accepted this Agreement without modification upon the first time you access the Website or otherwise request a quote. Additionally, we require you to expressly acknowledge your agreement to these terms prior to accepting our quote by submitting an order for a product using the Drawlab service. With respect to users of our Website, Drawlab grants to you a limited, non-exclusive license to utilize the services offered by the Website. Your exercise of this limited license is subject to and conditioned on the terms and conditions of this Agreement. This license terminates immediately if you breach any term of this Agreement. You may not transfer or assign this license to any other party. Drawlab reserves the right to refuse registration to anyone, for any reason. Drawlab is the owner or licensee of all rights in the Website, its content, software and services. Drawlab is not granting to you any right or license to the Website, its content, software, or services except as explicitly stated in this Agreement. We may terminate your access and registration if you breach any term of this Agreement, or if we are unable to verify or authenticate any information that you provide to us. Once you have obtained a quote from the Drawlab service, you may accept such quote and submit your order requesting that the Drawlab service produce your desired product. The total fees for each order will include the applicable quote, all applicable taxes and all applicable shipping charges. To submit an order, you must pay all fees either (i) in advance through the use of your credit card or (ii) pursuant to such credit terms as pre-approved by Drawlab. Once you receive an electronic or other confirmation of your order, such order is binding on both you and Drawlab and may not be cancelled except by mutual agreement. If conditions arise which prevent compliance with delivery schedules, Drawlab will not be liable for any damage or penalty for delay in delivery, or for failure to give notice of delay. However, Drawlab will use all reasonable efforts to give notice of delays. Delays will not be grounds for cancellation. Delivery occurs Ex Works on the actual shipping date, and title and the risk of loss transfer to you upon shipment. These Standard Terms and Conditions of Drawlab Inc. constitute the Agreement governing your use of Drawlab services provided through the website located at entertainment.live.drawlab.com or otherwise. All products produced and sold by the Drawlab service are warranted to conform with such specifications as mutually agreed upon by the parties. In the event that, within three (3) business days of your receipt of the product, you shall determine that any product is not in conformity with such specifications, you shall return such product to Drawlab for analysis. We will have five (5) business days to complete our analysis of such product. If the product does not meet the agreed upon specifications, Drawlab shall, at our sole option, either (i) replace such product with a corresponding product that meets such specifications, or (ii) accept for return such product for credit or refund. Drawlab will not be responsible to you for consequential, exemplary or incidental damages (such as loss of profit or employee’s time) regardless of the reason. In no event shall the liability and/or obligations of Drawlab arising out of the purchase of products via the Drawlab service by you or others exceed the purchase price of the products.  You agree to indemnify Drawlab, Inc., its affiliates, parent and subsidiaries and its Drawlab service from and against any and all claims and damages of any kind (including attorneys fees) resulting from your use of the Drawlab service, the Website, or from your breach of any provision of this Agreement. Drawlab is committed to maintaining the confidentiality of the confidential information that you submit in connection with receiving a quote or ordering a product. We acknowledge and agree that any specifications or documentation, including .stl or other build files, that you submit to the Drawlab service may contain valuable proprietary information, ideas and expressions. Accordingly, Drawlab will use a reasonable degree of care (and require that its employees use such care) to keep such confidential information confidential, and shall not use or disclose such confidential information except as required to perform the Drawlab services. The foregoing confidentiality obligation does not apply to information in our possession before your disclosure, information that is generally publicly available, information received by us from a third-party without a confidentiality obligation to you or to any disclosure of information required by law or court order. You recognize that Drawlab and its Drawlab service provides similar services to others. We will not, however, use your confidential information in performing those services. Unless otherwise agreed to by Drawlab in the order, if any products that you order require tooling, such tooling will remain the proprietary property of Drawlab and any costs related to such tooling will be your responsibility. Drawlab will provide adequate tooling for the quantity specified in the order. Future orders submitted for similar products may require new tooling and related costs. Customer and Drawlab shall endeavor to resolve any controversy, claim or dispute arising out of or relating to the Agreement, or the performance or breach thereof, by negotiation. Any claim that is not resolved by negotiation within thirty (30) days of notification shall be settled by arbitration administered by the Greek Arbitration Association under its Commercial Arbitration Rules, and judgment on the award rendered by the arbitrator(s) may be entered in any court having jurisdiction thereof. The hearing locale will be held in the AAA office closest to the Drawlab corporate headquarters. A. The Agreement shall be governed by and construed in accordance with the laws of the Greece without regard to conflicts of laws provisions thereof. B. Both Drawlab and Customer will comply with all laws applicable to the Agreement. C. All notices given under the Agreement will be effective when received in writing. Notices to the Customer and Drawlab will be sent to the address provided in the Agreement. Drawlab Entertainment understands that security and privacy are essential considerations for users of procurement services. This privacy statement is intended to both demonstrate our firm commitment to security and privacy and to provide you with an understanding of our practices. This statement does not, however, govern the terms of our relationship or constitute any representation or warranty. The terms of our relationship are governed by our Terms & Conditions. When you use our web site, entertainment.live.drawlab.com (our «Site»), we may obtain information about you in a variety of ways. To use the Site to acquire a quotation for services from drawlab, you must be a registered user. Also we acquire certain information about you if you browse the Site even if you do not provide us with any registration information. Our Site’s registration form will ask you to provide us with certain Registration Information that will allow you have full access to the Site. We may use the Registration Information to help tailor the Site for your use, including creating customized pages within the Site, and to send you information about the Site, our company, and other services or products we may provide. We use unique identifiers in the Registration Information you provide us to verify your identity on subsequent Site visits. Although entertainment.live.drawlab.com will not sell personally identifiable information about its users, it may share Registration Information with third parties. The Site may make chat rooms, forums, message boards, or news groups available to its users. Please remember that any information that is disclosed in these areas becomes public information and you should exercise caution in using them and in disclosing sensitive information. We will generally not supply any information concerning our users to unaffiliated third parties. We will, though, provide access to or make available any information to comply with valid legal process, such as a search warrant, subpoena, or court order, or with any other law; or to process and protect our rights and property. We may also make user information available or trace IP addresses in special circumstances, such as where physical safety may be at risk. While we strive to protect our users” information and privacy, we cannot guarantee the security of any information you disclose online, and you do so at your own risk. You acknowledge that you are aware of security and privacy limitations, including but not limited to: (1) the limitation of security, privacy and authentication measures and features in this system; and (2) that data or information on the Site or Service may be subject to eavesdropping, sniffing, spoofing, forgery, spamming, «impostering», tampering, breaking passwords, harassment, fraud, electronic trespassing, hacking, nuking, system contamination (including, without limitation, viruses, worms and Trojan horses) causing unauthorized, damaging or harmful access and/or retrieval of information and data on your computer, may be subject to other security or privacy hazards or may not reach its destination or may reach an erroneous address or recipient.